One of my fellow Book Bloggers has decided to run a great challenge for 2018 and I have decided to join her. For more information, check out Gingermom’s Blog. To read a book whose title starts with each letter of the alphabet. Are you an author who would like to have your book included in the challenge? I can’t wait for 2018 and all the amazing new books that are being released. 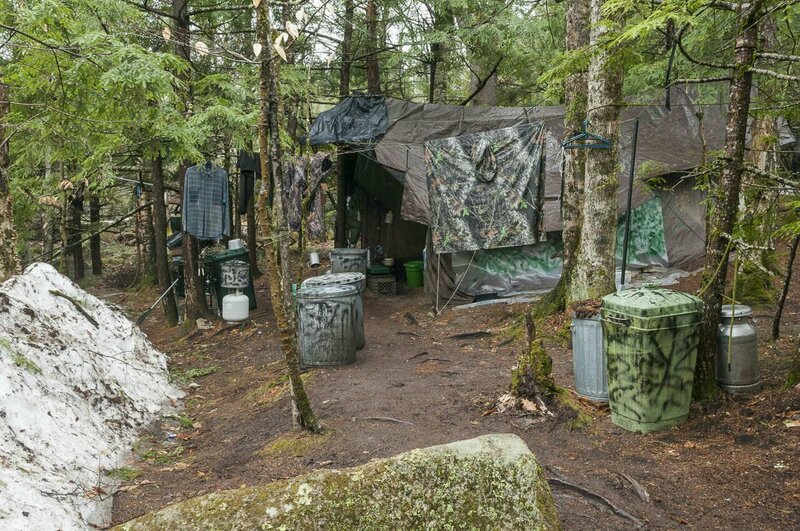 I find it fascinating that anyone could just one day decide to walk into the forest with minimal supplies and not come out again for decades. Christopher Knight is “the hermit” who this book is about. 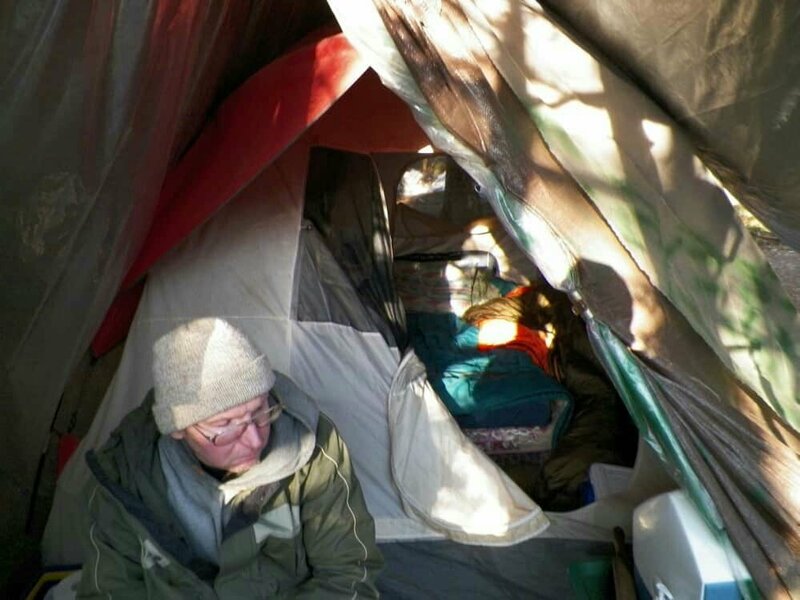 He is an anomaly to the belief that people need contact with others to survive. 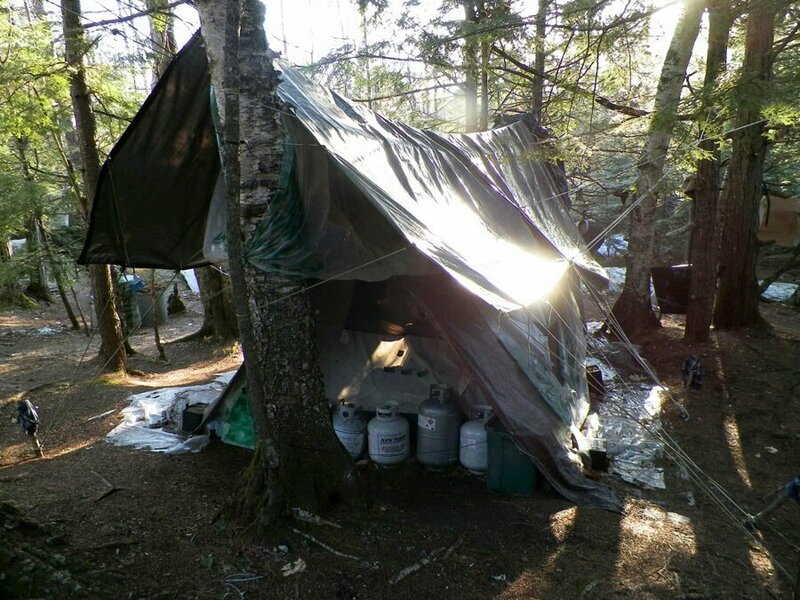 Christopher stole food and other essential items to help him survive, and created a hidden camp that wasn’t far from civilization and yet, somehow he was able to stay hidden and alone for over twenty years. Author Michael Finkel has done a terrific job of trying to understand the nonunderstandable and readers will be unable to put this book down. MICHAEL FINKEL is the author of “The Stranger in the Woods” and “True Story,” which was adapted into a 2015 major motion picture, starring James Franco and Jonah Hill. He has reported from more than 50 countries and written for National Geographic, GQ, Rolling Stone, Esquire, Vanity Fair, The Atlantic, and The New York Times Magazine. His work has been anthologized in The Best American Sportswriting, The Best American Science and Nature Writing, The Best American Travel Writing, and The Best American Non-Required Reading. Michael lives with his wife and three children in western Montana and southern France. IFOA and Dundurn Press invite you to the release of The Toronto Book of The Dead by Adam Bunch as part of the Toronto Lit Up book launch series. 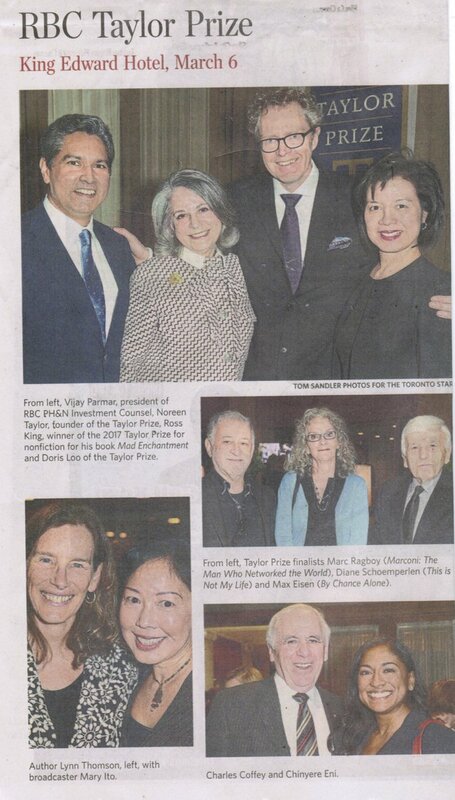 Toronto Lit Up is a three year initiative, spearheaded by the Toronto Arts Council and IFOA, designed to spotlight Toronto’s writers and empower local artists with career-building opportunities. Adam Bunch is the creator of The Toronto Dreams Project, and has written about the history of the city for Spacing Magazine, Torontoist and the Huffington Post. In 2012, he earned an honourable mention for a Governor General’s History Award. Adam lives in Toronto. 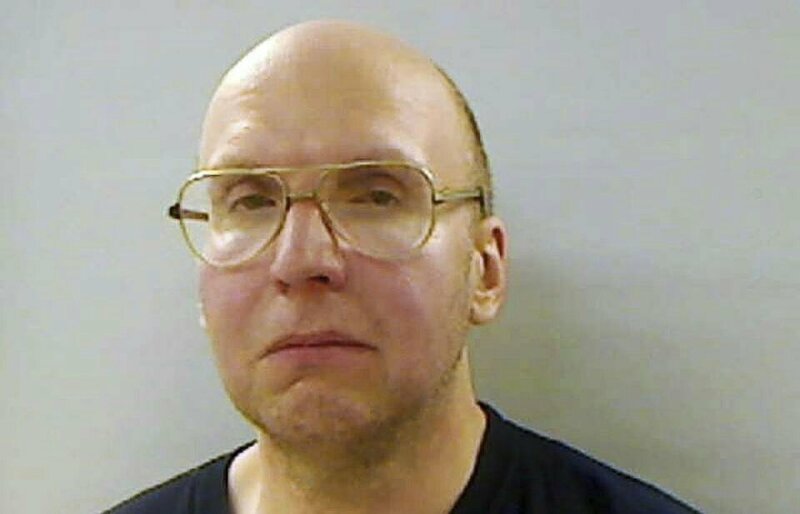 When we think of serial killers, we generally think of them as being a United States problem. ( I apologize to my US based readets, but it is true). Most people (especially Canadians) would NOT think of Canada, which is famous all over the world for its friendliness and peaceful nature, as a hotbed of criminal depravity – a fact that I am immensely proud of being a born and bred Canadian. 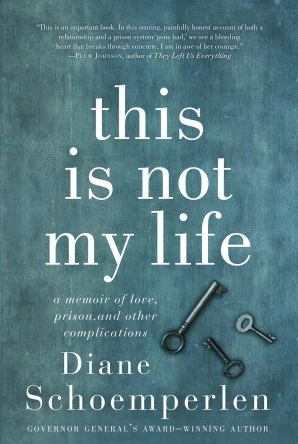 Until reading this book, I would have said that there were only two Canadian Serial Killers that I could think of; those being Robert Pickton from British Columbia who murdered prostitutes that he picked up on the streets of Vancouver, British Columbia and the disgusting piece of filth that is Paul Bernardo who definitely deserved the death penalty (if it had been available in Canada.) 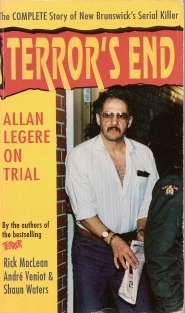 So, when I began reading this book and learned of Alan Legere I was very surprised. When I think of New Brunswick and the people who live there, I think of gorgeous scenery, lakes, the ocean, and amazingly courteous and helpful people. I have visited New Brunswick many times and I love it. Even in the cities, people are friendly and accommodating. 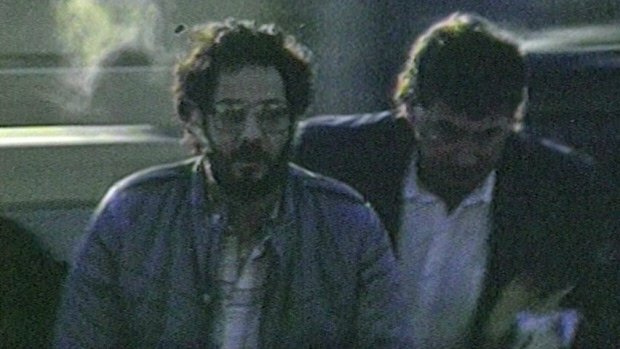 It is difficult to fathom that a serial killer was born and bred in such a wonderful province. However, that is exactly what happened. 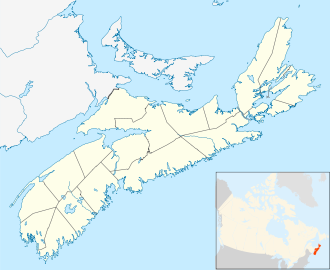 Allan Joseph Legere was born and raised in the Miramichi area of New Brunswick. His reign of terror over the people of that area took place in and around 1986. This book contains so many spelling and grammatical errors that I feel like the publisher of this book should be ashamed of themselves. I assume that the reason for these errors was that they rushed the book through the publication process in order to get it onto newsstands and into bookstores as quickly as possible so as to take advantage of the public’s intense interest in the case at the time. However, in my opinion, there is simply no excuse for the sheer number of typos and spelling errors. It is RIDICULOUS. Aside from the errors, the book seems to encompass the complete details of the crimes themselves, as well as what took place in the courtroom. The authors also managed to adequately convey the feelings of fear that the residents of the Miramichi area felt at the time the crimes were occurring as well as the anger and outrage citizens felt once the horrific details were released. I also want to mention my disdain for Alan Legere on a personal note. Yes, he killed multiple people, but in my opinion he was / is a cowardly piece of scum. He chose elderly people as easy targets (probably because he knew he might be overpowered by younger, stronger opponents. He even murdered a elderly priest who had never wronged anyone in the ultimate act of cowardice. All in all, the book did hold my interest most of the time, but the details were so tediously described in some passages that I felt my attention wandering and set the book down for days on end. PUBLISHER: A SEAL BOOK – FROM MCCLELLAND-BANTAM INC. This book is one I picked up many years ago and has been sitting on a shelf for years. My husband picked it up and read it which prompted me to do the same. This book was published in 1986 and the version I have is that 1986 book. It reflects the attitudes of that time period and even some of the desvriptive words that are included would NEVER appear in books written nowadays. For example, when describing one of the people who knew Billy Stafford, it says: “Warrington, a black, channels his energies into improving race relations in his province.” No modern author would ever describe a person as “a black” since it sounds derogatory, but in 1986 there was nothing wrong with using those words as descriptors. 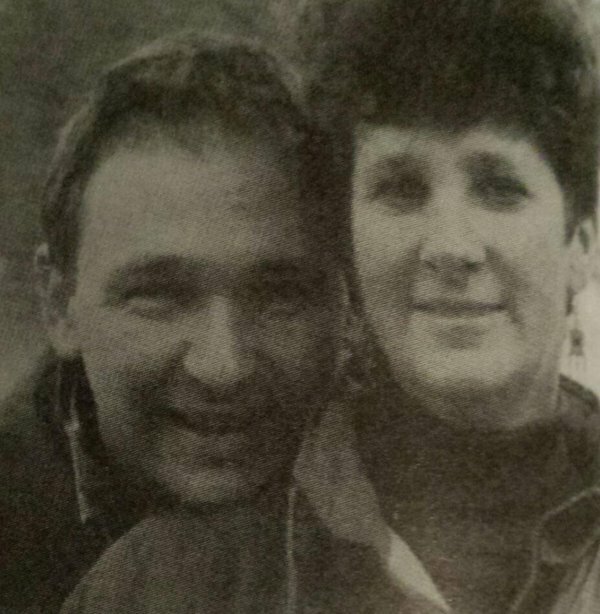 In LIFE WITH BILLY, the reader learns early on in the book that Billy Stafford was killed by a shotgun blast and that the “murderer” was his wife, Jane. As you continue to read, you realize that Jane Stafford was more of a victim than the person she killed. This is the true story of an abused wife who just could not take another beating and who in desperation and fear did the only thing she could think of to stop the physical, emotional, and sexual abuse once and for all. 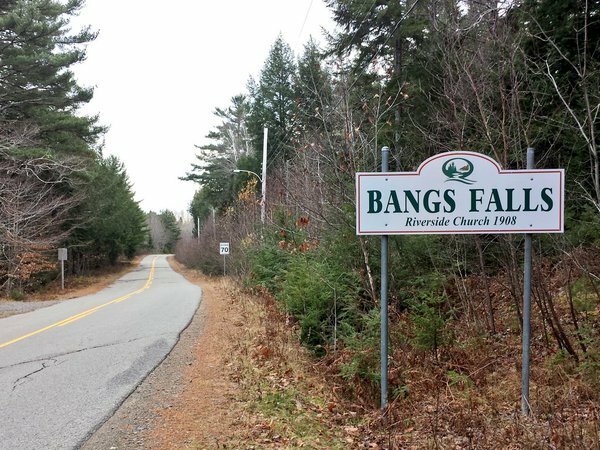 The location of the isolated hamlet of Bang’s Falls, Nova Scotia where Jane and Billy lived. This story is NOT for the faint-of-heart. The descriptions of the abuse Jane suffered are truly horrific and her husband, Billy was a true sadist and in my opinion, was as evil as it is possible to be. Billy Stafford was a man who was basically a bully and a sadist. He forced Jane to commit many acts of sexual depravity and who abused not only her but their son as well. One of the police officers who arrested Jane was overheard saying that she deserved a medal. 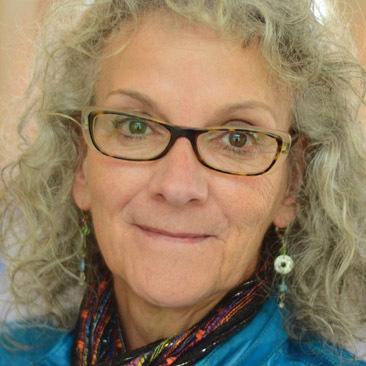 It is my belief that Billy damaged her psyche so severely that she became a shell of a person who was not living – she and her son were merely existing. This book was published at a time when spousal abuse was treated as a matter between husband and wife and was not a problem that law enforcement wanted any part of. The killing of Billy Stafford shone a spotlight on this issue in Canada and the United States. The media coverage was extensive and battered wives who thought they were alone finally realized that they were not alone at all. Award-winning journalist and passionate campaigner against domestic violence, Brian Vallée, dies at 70. A tireless voice against domestic violence. A master of the tourtière meat pie. But above all else Brian Vallée “was a terrific journalist,” said Ron Base, Vallée’s best friend of 40 years and former colleague at the Star. The former Toronto Star reporter died from cancer in St. Michael’s Hospital on Friday morning. ~ I received a free copy of this audiobook through AudioBookBlast in exchange for an honest review. 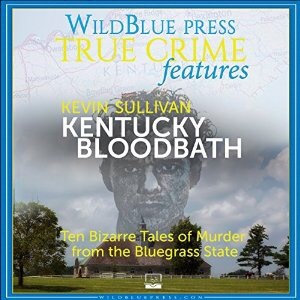 This audiobook is a compilation of ten criminal homicide cases that took place in the state of Kentucky over the past 50 years. The title “Kentucky Bloodbath” is very appropriate. The murders and heinous attacks that are detailed in this audiobook are truly bloody and horrific. I enjoy reading true crime novels, but this one is particularly graphic. That is because it is not just a single story about a single crime. ~ I would caution potential listeners that this audiobook should not be played where anyone under the age of eighteen might hear its content. The length of this audiobook is perfect. It is neither too long nor too short. I listened to this audiobook on my daily commute to work and was able to hear the entire book in two days. 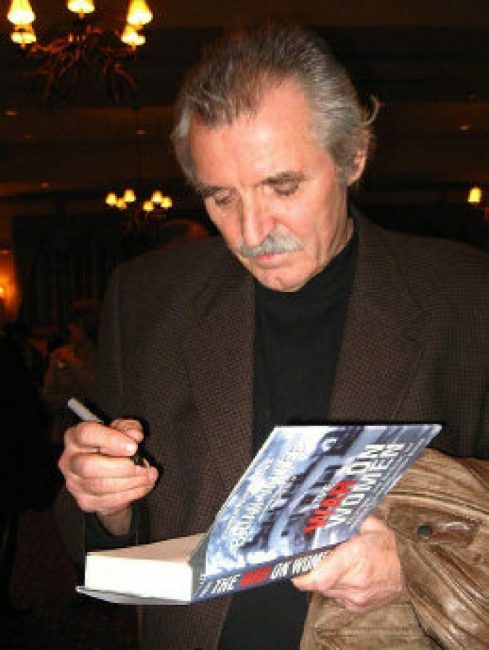 Author Kevin Sullivan has extensively researched each of the ten murder cases and has included background information on each of the victims and perpetrators. This makes listening to this audiobook much more interesting since there is almost always something the listener can relate to and therefore he/she becomes personally invested in each story. Kevin Sullivan has included small details that highlight the decade in which each murder took place. This assists the listener is forming a picture in their mind of where and when the murder took place. I admit that I had never heard about any of these murder cases prior to listening to this audiobook, but I did find them interesting. I rate this audiobook as 4 out of 5 stars ⭐️⭐️⭐️⭐️ and would recommend it to those who have a particular interest in true crime stories. * I received a free copy of this audiobook through Audiobook Blast dot com in exchange for an honest review. In May 1981, Ruie Ann Park’s body was found by her adult son in a pool of blood in her own home. Her home was located on top of Log Town Hill overlooking the Arkansas River in Van Buren, Arkansas. 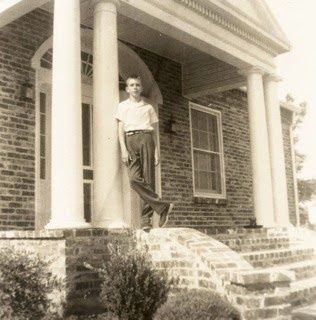 This is a photo from the Park family photo album of their home. Standing out front is a young Sam Hugh Park. She was beaten to death and left for dead. The police and townspeople assumed her son was the murderer. Why? This murder took place in an era where being gay was proof of being deviant and therefore he was an easy target for law enforcement. But the years would uncover a much more sinister story. Until the night of the murder, the Park family seemed to have an almost perfect life. For fifty years they were the owners of “The Press Argus” newspaper. Hugh Park was connected politically and his wife, Ruie Ann, was a local historian, a journalist, and a teacher. They had a biological son who Ruie Ann thought was brilliant and could do no wrong. The couple also adopted a daughter, named Linda who seemed to become the father’s favorite. Their golden life ended in divorce and the children remained with Ruie Ann, who stayed in the marital home, becoming bitter and more and more demanding of the daughter who couldn’t seem to up her mother’s expectations. The son, Sam Hugh, had once had a promising legal career but this ended because of his penchant for young men, alcohol and drugs. It was this history that set him firmly in the sights of law enforcement when his mother was murdered. In comparison, adopted daughter, Linda, seemed to have a much more normal life. She graduated from college, married a lawyer and moved a few hours away from her overbearing mother. So, if it wasn’t the ‘degenerate’ son, who killed Ruie-Ann Park? If you don’t already know the ultimate outcome if this murder case, the answer will surprise you. I enjoyed listening to this audiobook and thought that the author did a terrific job of describing both the Park family’s history as well as the complex family dynamics. She was able to stick to the facts and weave them into a compelling tale that listeners are able to follow easily. My only complaint is that after the author spent so much time detailing the family history, it seemed like once the murderer was arrested (three years after the crime took place) the story starts to have huge holes in it. Listeners/readers are not given detailed information about how the death of another family member took place. It is eluded to that it was a suicide, but no details were given. I believe this information should have also been included. Also, once the murderer is arrested there is barely any information about the legal process. I would have liked a few more details. 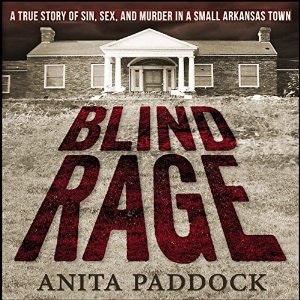 Anita Paddock is a widowed author who currently resides in Fort Smith, Arkansas. 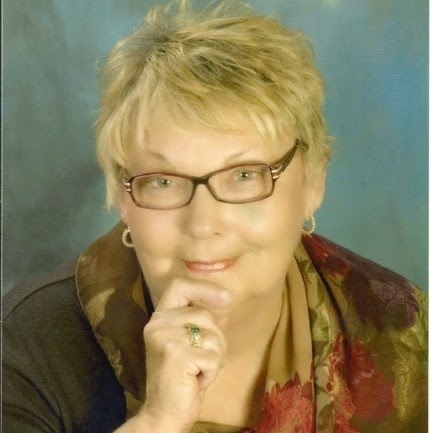 Anita attended Van Buren High School, graduating in 1958 and enrolled in the University of Arkansas from 1958-1960 and graduated from Little Rock University in 1962. 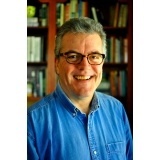 Kevin Pierce is a full-time audiobook narrator and has received many awards and accolades on both Audible and ACX.